eturning home from a hospital stay can result in unexpected challenges for many seniors. Finding themselves back at home after a hospital stay, many older adults struggle to manage their medications and make follow-up doctor’s appointments as well as obtain the physical assistance and in-home support they may require, at least on a temporary basis. 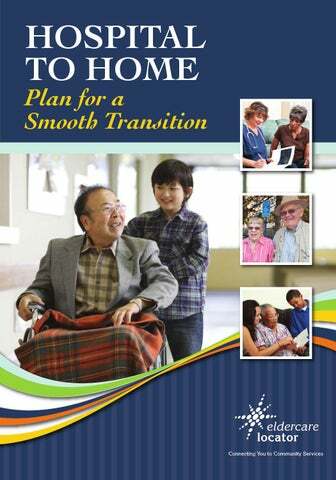 As a result, many older adults do not successfully make the transition home well and end up returning to the hospital. In fact, one in five Medicare patients are readmitted to a hospital within 30 days after discharge. Studies have shown that nearly half of the readmissions are linked to social problems and lack of access to community resources. You can help ensure that you or your loved one makes a successful transition home from the hospital if you start planning for your hospital visit before you are admitted for a planned procedure or for unexpected visits to start planning for discharge the day of admission. Planning goes a long way to help patients address the questions that arise during the discharge process and make a safe and smooth return home. Where will you go? Your own home? A family member’s home? A rehab facility? Will you need help getting to follow-up doctor’s appointments? To the pharmacy? Will you need help with meal preparation? Bathing? Who will assist you? Your family member? A home health aide? How long will you need assistance? This guide is meant to help stimulate thinking about the answers to these and other questions. It is intended for older adults and their family and friends who will help them transition successfully from a hospital back home. You can learn about transitioning home and more from the United Hospital Fund’s Next Step in Care (www.nextstepincare.org). Additionally, you can learn about community resources that may be of assistance with your transition home from your local Area Agency on Aging. The Eldercare Locator (www.eldercare.gov) can direct you to an agency in your area. PrE-HOSPITAL f you have a planned admission, and you know that you will be staying in the hospital for at least one night for an elective (non-emergency) surgery, tests or special procedures, planning takes several steps. Not all trips to the hospital are planned. If you do not have enough time to plan and must go straight to the Emergency Room, be sure to bring any medications you are taking and health insurance information. It is a good idea to have an Emergency Room kit similar to the hospital kit. HOSPITAL TEAm – Maintain regular communication with your “hospital team” – this group can include doctors, nurses, social workers, your caregiver(s) and other health professionals at the hospital. If your primary care provider is not part of your hospital team, make sure that someone on the team or a family member is communicating with him or her. ■ Health Care Proxy and Advance Directives. You should prepare these papers whether or not you are going to the hospital, but if you have not done this, the hospital can give you information. ■ Other items to bring: eyeglasses, dentures, hearing aids and toiletries. ■ DO NOT bring jewelry, money or other valuable items! POST-HOSPITAL ospital stays are often very short. As soon as a doctor says you are “medically stable,” the hospital will want to discharge you. Depending on the condition, patients often transition from the hospital to home or to a short-term rehabilitation program in a nursing home. This section focuses on important considerations when you are heading home from the hospital or a rehab program. your Home Make sure to order all the needed equipment and supplies. A member of your hospital team can help you with this task. If you are eligible for home care agency services, find out what the agency provides and what you must get on your own. Here are some good questions to ask: ■ Will I need a hospital bed, shower chair, commode, oxygen supply or other equipment? If so, where do I get these items? ■ What supplies do I need? This may be diapers, disposable gloves and skin care items. Where do I get these? ■ Will my insurance pay for the equipment and supplies? What type of care will I need when I return home? hospital team needs to know what tasks you can and cannot do so they can help you plan for any needed help. fOOd — Ask if there are certain foods you can or cannot eat. This might include specific foods such as milk or meat, or general types of food, such as very soft food or liquids. If you need special foods, try to buy them ahead of time when it is easier to shop. Know Who to call and What to do You may have a lot of questions during the first few days at home. Make sure you have phone numbers for people on the hospital team, as well as any home care agency involved with your care and a listing of community services you may need. Make sure you know what to do for your care. This includes knowing: ■ Are there any symptoms that you must report right away, such as fever, intense pain, or shortness of breath? If you notice these symptoms, who do you call and what should you do? ■ Are there limits or restrictions on what your can do? For example, you might not be able to drive, take a bath, lift heavy things or walk up or down stairs. ■ Is it safe to be alone? How often should I ask a family member or friend to check in? community resources Many communities have resources that can help you and your caregiver, such as: help with transportation for medical appointments, home-delivered meals, medication management assistance, chore services, in-home support services, as well as caregiver support and respite (time away from caregiving) To find out about the local resources in your community, contact your local Area Agency on Aging, you can get connected with them by calling the Eldercare Locator at 800.677.1116 or visit www.eldercare.gov. fOr cArEgIvErS If you are a caregiver, bringing your family member home can be overwhelming. There are so many things to do and remember. Having a good plan is the first step. Try to focus on what must be done immediately. The rest can wait. Be honest about your limitations, whether they relate to your own health, your job or other responsibilities. The Next Step in Care guide “What Do I Need as a Family Caregiver?” is a good basis for a self-assessment of your needs. Ask other family members, friends and community agencies for assistance. USEFUL RESOURCES Eldercare Locator offers a variety of brochures with information for older adults and caregivers. 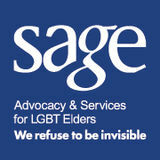 Visit www.eldercare.gov (Resources tab) to view the “Managing Your Medicines” brochure mentioned in this publication, and more. Next Step in Care offers many resources for patients and caregivers. Visit www.nextstepincare.org (For Caregivers section) to view the “Medication Management Form” and “What Do I Need as a Family Caregiver” guide mentioned in this publication, and more. 800.677.1116 www.eldercare.gov www.facebook.com/eldercarelocator The Eldercare Locator is the first step to finding resources for older adults in any U.S. community and a free national service funded by a grant from the U.S. Administration on Aging (AoA). The Eldercare Locator is administered by the National Association of Area Agencies on Aging (n4a). www.nextstepincare.org The United Hospital Fund’s Next Step in Care website has guides for family caregivers on many aspects of transitions, including medication management, discharge checklists, hospice and palliative care, and many others. The guides are free and available in English, Spanish, Chinese, and Russian. This publication was supported, in part, by a grant, No. 90AM3206, from the Administration on Aging, U.S. Department of Health and Human Services. Grantees undertaking projects under government sponsorship are encouraged to express freely their findings and conclusions. Therefore, points of view or opinions do not necessarily represent official Administration on Aging policy.